Do you find it challenging to stay focused for any period of time on tasks, or discussion, or even prayer? Those specialists that study human factors tell us we are constantly trying to find the balance between boredom and creativity. Your job search may be like that. When it goes on longer than you think it should, you can lose your focus and skip doing some of the things essential to being effective. So what’s the answer? 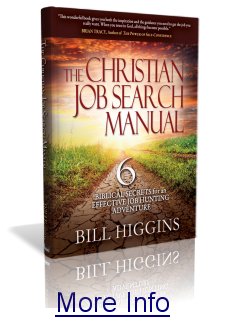 Have you ever looked at your job search as an adventure? It’s quite possible you would have to respond, “Yeah, right!” As in all of life, God desires that your job search be part of life’s adventure. You can join with him to see what he has in-store for you. Is your résumé an attention grabber? God’s is. Max Lucado says in The Great House of God that the sky is God’s résumé. On a crystal clear night, you can look up and be mesmerized by what you see. Does your résumé do that for potential employers? Your job search is an opportunity to celebrate your uniquenesses, thank God for them, and think about how best to package them in your story, your resume and your interviewing. The process of making a career change involves identifying what you bring to a job, where you find your greatest sense of fulfillment, and then finding opportunities that offer those, rather than looking at job announcements to see where you can find one that uses what you have. 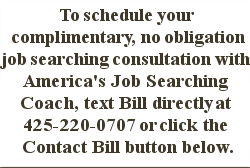 Dissatisfied with your career? Not seeing the fulfillment you had hoped to? Thinking there’s got to be more to life than what you have? Wanting more happiness, opportunities to use your strengths, sense of making a contribution?